Klip Gallery: Campaign Monitor – How can we help you today? 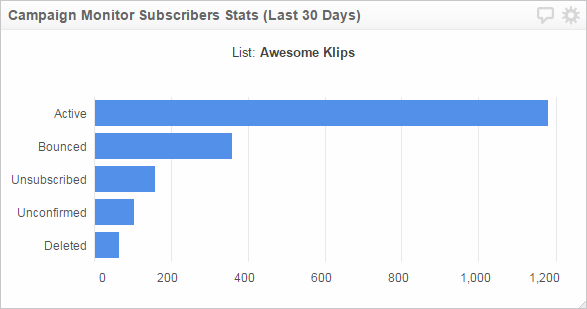 Use this indispensable Klip to monitor key stats on your email marketing list. Help your team make informed decisions by monitoring key metrics on your email marketing campaign performance. 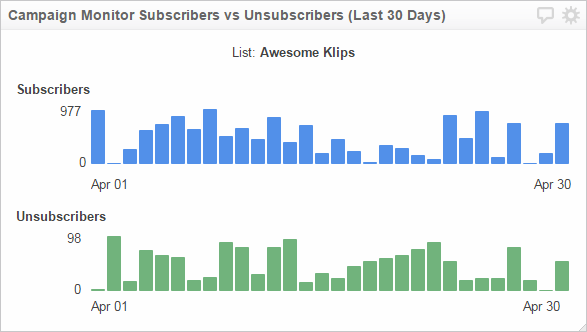 Compare your email marketing subscribers to unsubscribers over the past 30 days. 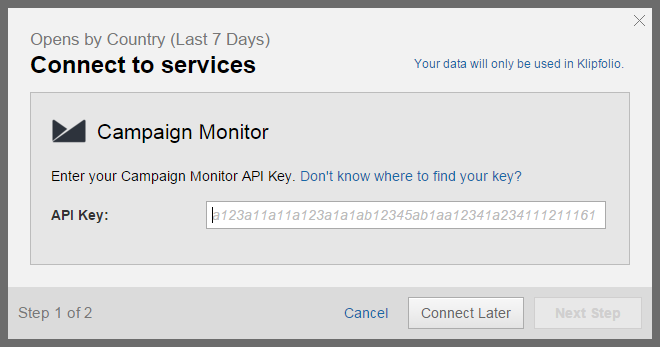 You can find your API Key in your Campaign Monitor account. In your Campaign Monitor account, navigate to the top right corner of the page. 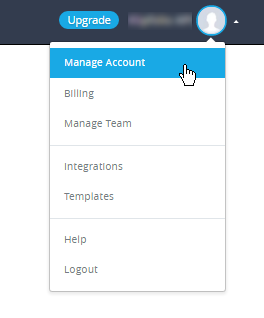 Click on your account name and select Manage Account. At API Key, click Show API Key. Copy your API Key into Klipfolio.